Universal Orlando Resort are having a week-long celebration for their new Harry Potter themed rollercoaster, Hagrid's Magical Creatures Motorbike Adventure. Each day they will be revealing a new creature that you will encounter on your journey through the Forbidden Forrest. 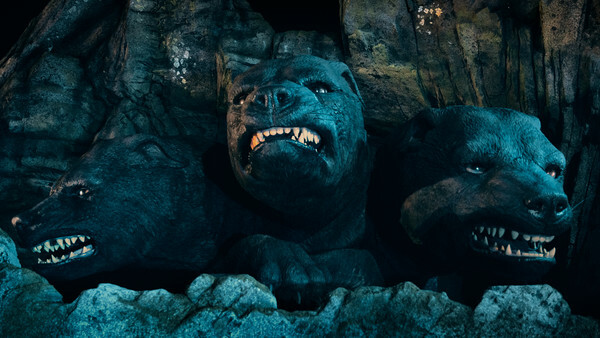 First to be announced is the ginormous three-headed dog from The Philosopher's Stone, Fluffy. 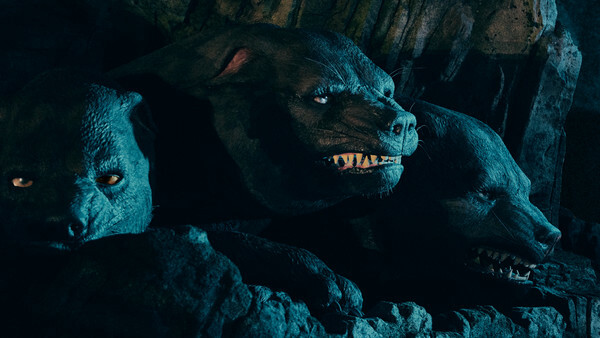 Even though Hagrid claims his bark is worse than his bite, I'd be a bit nervous about coming face to face with this ferocious beast! The massive 8,000 lbs dog can be found deep in the Forbidden Forrest, which contains over 1,200 live trees. Fluffy is a guard dog by nature, so be careful about continuing your journey. Fluffy was the first challenge that Harry, Ron and Hermione needed to face when attempting to prevent the Philosopher's Stone from falling into the wrong hands. Luckily they discovered that Fluffy can be sent to sleep with music. Let's just hope that when you encounter him there's some music at hand or you could just end up becoming his lunch! The new ride is set to be the most technologically advanced coaster that Universal have ever created. This immersive ride will take you right into one of Hagrid's Care of Magical Creatures lessons, with Fluffy being just one of the many creatures you'll encounter. We highly anticipate which magical creature will be revealed tomorrow! Hagrid's Magical Creature Motorbike Adventure opens to guests in 13th June at The Wizarding World of Harry Potter: Hogsmeade at Universal's Islands of Adventure.